Subaru has dedicated a countdown website for the 2009 Forester. 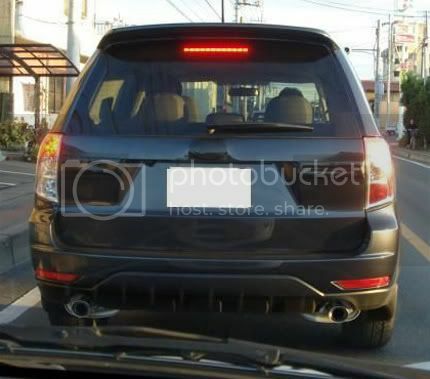 The countdown will end on 22nd or 23rd December, depending on your time zone otherwise, we have this spy photo of the new crossover caught completely undisguised. The Nissan X-Trail, Honda CR-V, BMW X3 and Land Rover Freelander rival is set to go on sale in spring after being shown at the Geneva motor show in March. It is based on the new Impreza platform and has a wider wheelbase and track than the current model. This should improve interior space and handling. The rear suspension has also been radically altered to improve ride and handlingIt will initially be launched with a 2.0-litre petrol engine, with a 2.0-litre diesel unit following in September 2008. No prices have been announced, but they are expected to start at around £18,000.